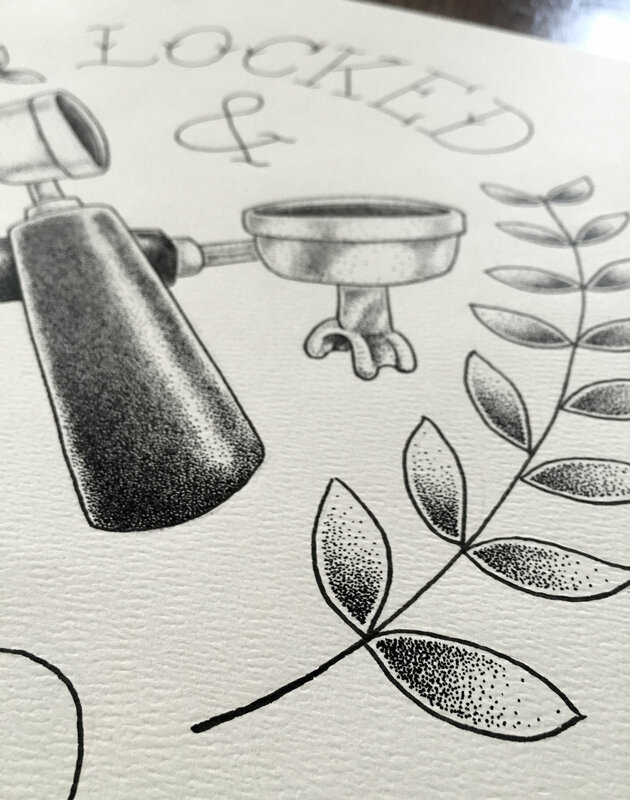 Designed as a possible tattoo for a friend - coffee lovers will recognize this wonderful plant. Original artwork for Smokin' Easy, Easy Smokin' Pig shirt design for BBQ company. Character design for a children's book called "God Loves Monsters". Large scale artwork for Ernie Ball booth at the National Association of Music Merchants Show 2014. Cover illustration for new sci-fi novel by Alex South. You can purchase this awesome book at Amazon.com. Illustration done as an option for a BBQ Company logo. Was too realistic for the client, but I thought he was cute. Leaping horse made with colored charcoal pencils on kraft paper.